Stats show that the #1 New Year’s resolution is to lose weight. Tons of people wake up January 1st with the intention of starting a strict diet, joining a gym, creating a healthy lifestyle and losing weight. While motivation is the key to starting (weight loss is more of a mental obstacle than anything) you have to find a realistic place to start. 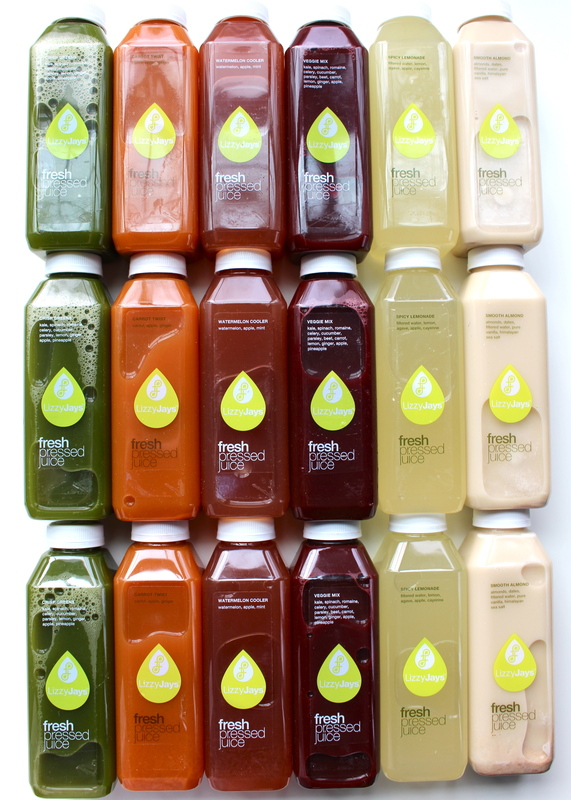 I was 100% set on doing a juice cleanse, it’s the best way to reset your digestive system and I think its a great idea to do every few months. BUT before I jumped into a diet consisting of nothing but 6 raw juices for 3 days, I ate healthy and created a do-able exercise routine. Let’s be honest – it’s totally unrealistic to eat pizza and ice cream and then wake up and start a strict diet/cleanse. SO – after 9 full days of eating healthy and not giving in to all of the usual junk I was used to, I felt….better. I felt so much more in control of my life and of course.. my energy. 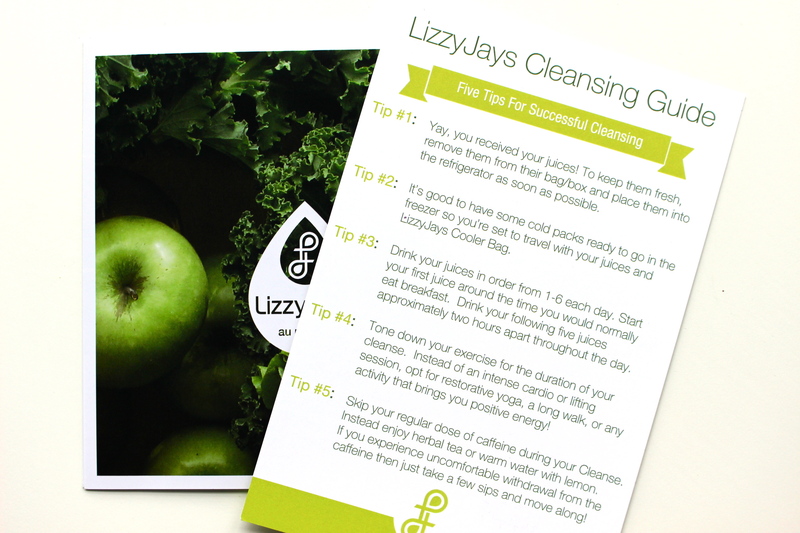 The Lizzy Jay’s 3-Day Novice Cleanse was more than welcome and gave me a challenge I was ready to take on. Ya know, kind of like a game I was determined to win. 🙂 It makes it so much more fun to look at it in a positive perspective and not in the sense that you’re depriving yourself, because you’re not! Day 1: It was Wednesday, I woke up super motivated, I was SO ready to start this cleanse. I drank the first 2 juices (crisp greens & carrot twist) with no problem. I got to the third juice, Veggie Mix (celery & beets are not my thing) and wasn’t too into it. I drank about 1/3 of the bottle and moved onto the next. Watermelon cooler was super refreshing and was probably my favorite of them all. By 3pm I was starving. I debated in giving it and eating dinner. I pushed through and had my remaining 2 juices (Spicy Lemonade and Smooth Almond) by the end of the night. Day 2: Hungry, day 2 was definitely the hardest. I kept debating on eating.. just a snack, something healthy. I resisted, it took all of my might but I didn’t eat a single thing. Staying busy at work helped keep my mind off the fact that I hadn’t eaten and tamed the beast of hunger. Day 3: I made it to day three! I was so proud I made it 3 days without caving. THEN – my boss decided to buy our entire department lunch.. WHY?!? Why did it have to be while I was doing a cleanse. After being asked at least 7 times by coworkers if I was going to get lunch, I caved. I got a small salad and felt SO guilty afterwards. Not because it was a bad choice health wise, but because I had made it so far, why couldn’t I just push through to the end? I didn’t let it affect the rest of my day, I finished and felt accomplished and motivated to continue on a healthy regimen. I seriously believe weight loss/eating habits are WAY more of a mental game. After consuming nothing but 18 fresh pressed juices over the span of 3 days (and the little salad mishaps) it made me realize how much I DON’T need to eat. I was overeating and had NO restrictions. I finished my cleanse 2 days ago, I lost 4 lbs in the 3 days I was on it and am continuing to eat healthy and reach my overall goal. 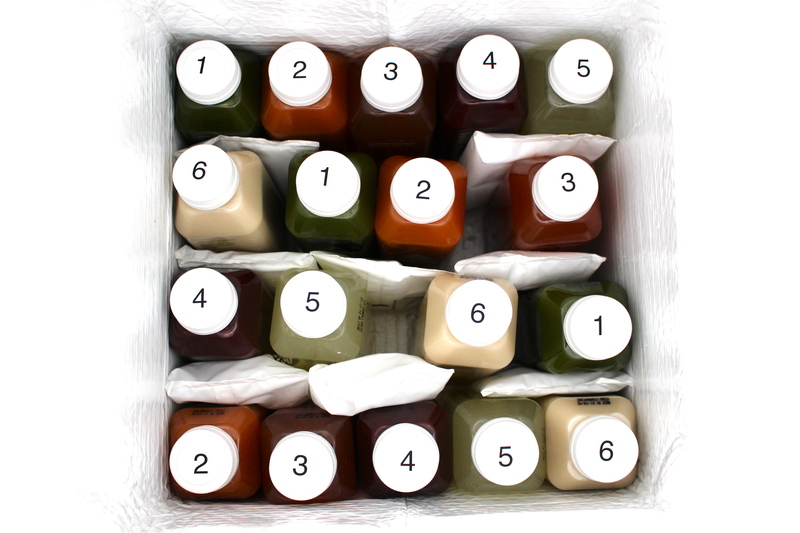 For more information on the Lizzy Jay’s Novice Cleanse head over to their website here: http://www.lizzyjaysjuice.com – This is my second experience with the Novice cleanse, the juices are shipped fresh and aren’t nasty like many of the pre-made juices you will find online. It’s a great option for someone whose looking to do a cleanse for the first time, and they have several other cleanses if you’re looking for more greens/something more intense.